WASHINGTON— RTI International is pleased to provide financial support for the Smithsonian’s National Museum of Natural History exhibit “Outbreak: Epidemics in a Connected World.” The exhibition marks the 100th anniversary of the Great Influenza, the pandemic that claimed the lives of almost 100 million people. RTI recognizes the importance of connecting people with the importance of science and global health. The three-year exhibit offers a window into epidemiology and the challenges of protecting communities against viruses – including Ebola, Zika, and HIV – that continue to threaten human health today. The Smithsonian effort highlights the interconnection among humans, animals and the environment. With historical context, it illustrates the origin and evolution of epidemics, explains the transmission of viruses from animals to humans, and highlights global efforts to reduce the spread of infectious diseases. Brian Southwell, PhD and director of RTI International’s Science in the Public Sphere program, has noted the importance of the exhibit in connecting scientists and laypeople. “Here in the United States, we are no more secure than the least secure country in terms of health security. 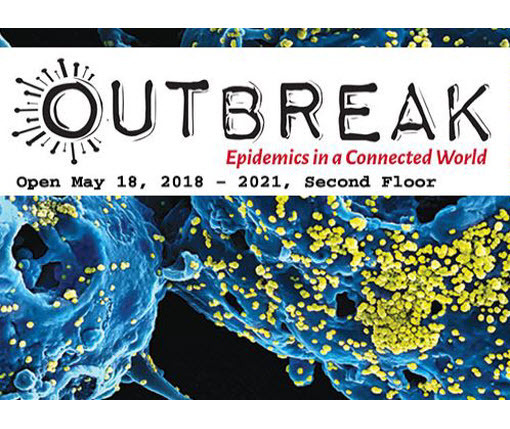 This exhibit highlights the importance of being prepared for outbreaks of both routine and emerging diseases globally,” said Pia MacDonald, PhD, infectious disease epidemiologist and recent lead of RTI outbreak response activities for Ebola in West Africa, as well as Zika, globally. RTI provides support to countries working to enhance compliance with the International Health Regulations, at the heart of global health security.